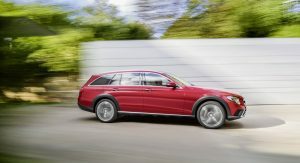 After a short teaser video today, Mercedes revealed the first information on the newest member of the E-Class family, the All-Terrain model. 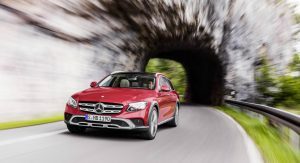 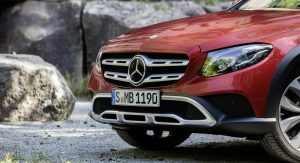 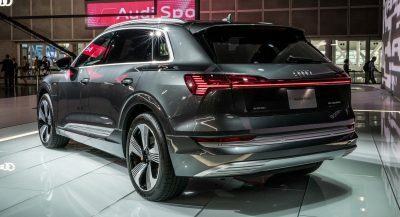 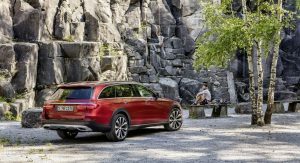 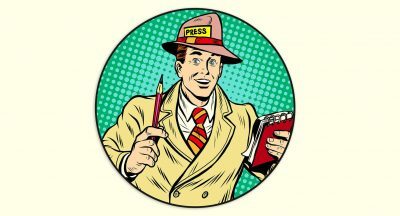 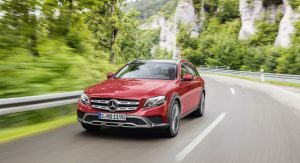 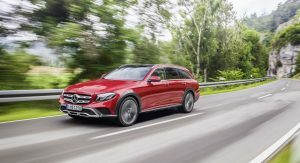 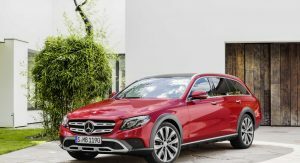 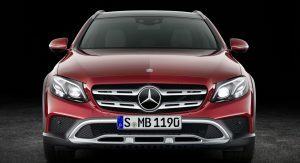 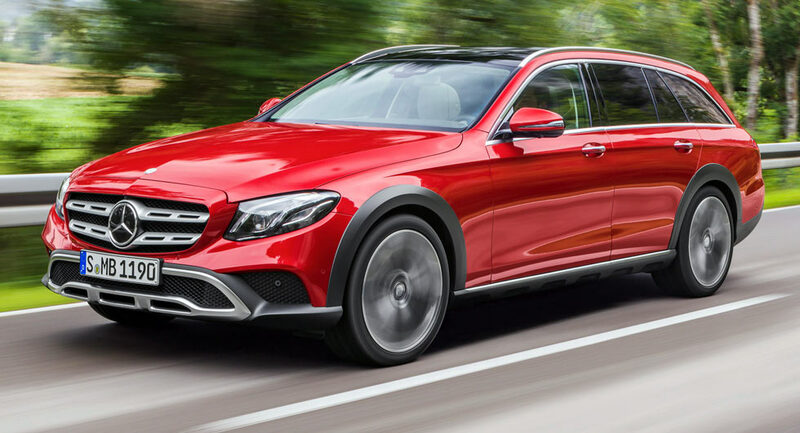 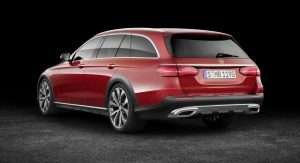 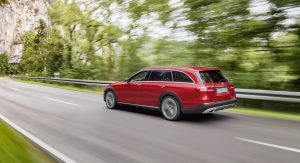 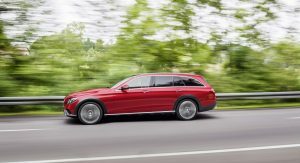 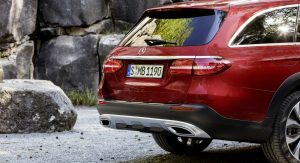 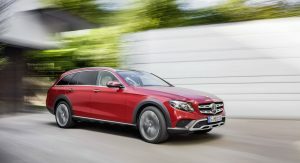 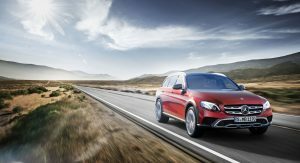 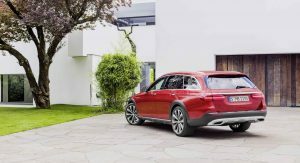 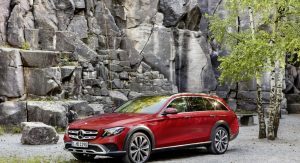 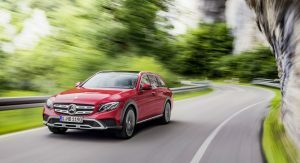 Set to challenge models like the Audi A6 Allroad and the also freshly revealed Volvo V90 Cross Country, the new E-Class All-Terrain is basically a lifted version of the wagon bodystyle with flared wheel arches, a different front grille with two fins and of course the company’s 4Matic AWD system fitted as standard. 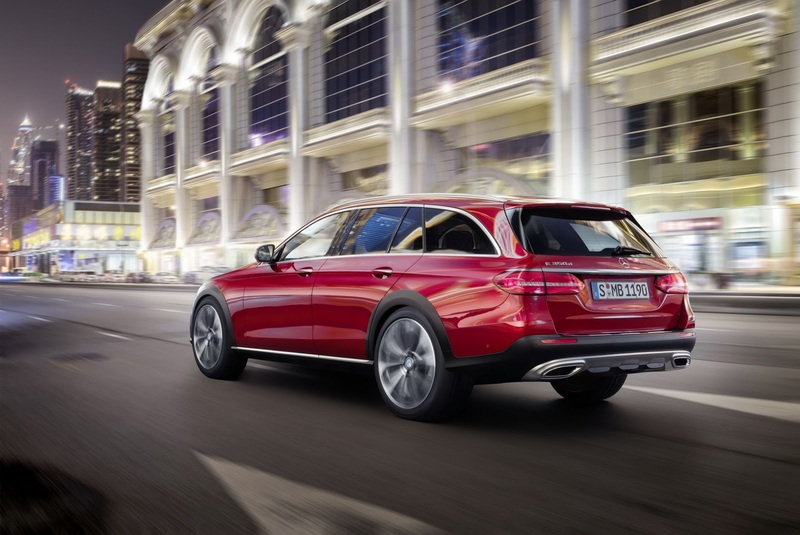 The new E-Class All-Terrain also comes with Mercedes’ Air Body Control multi-chamber air suspension and up to 35mm increase in ride height. 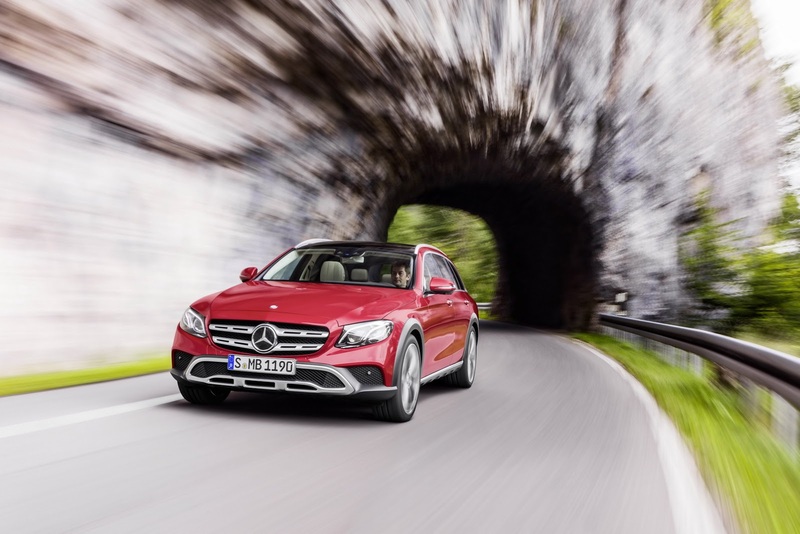 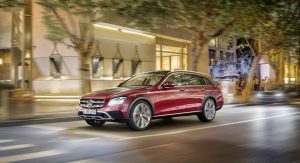 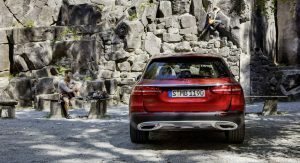 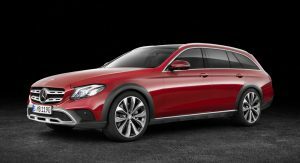 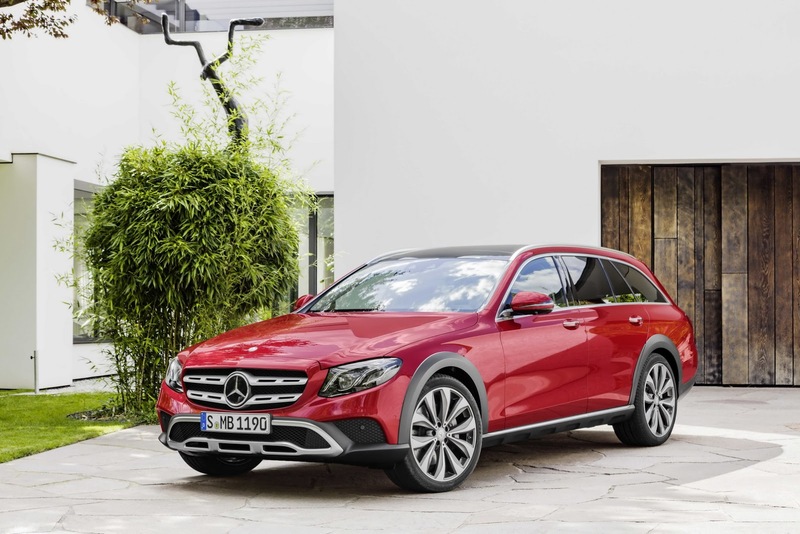 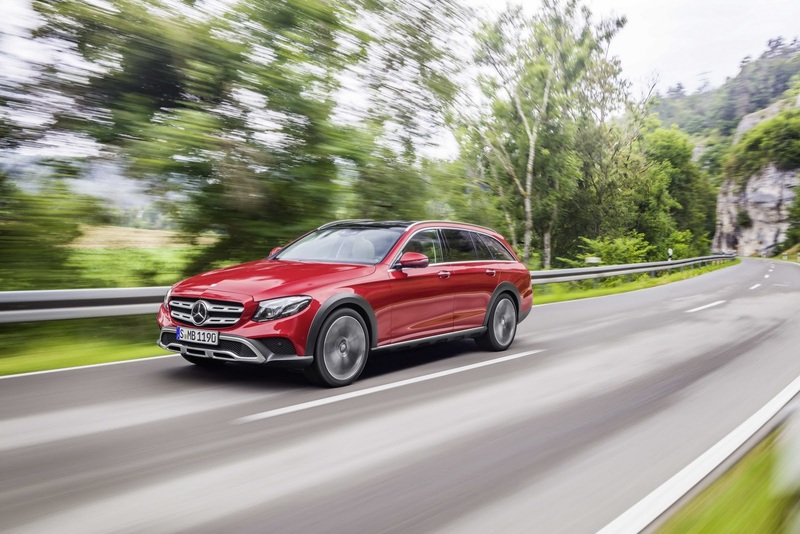 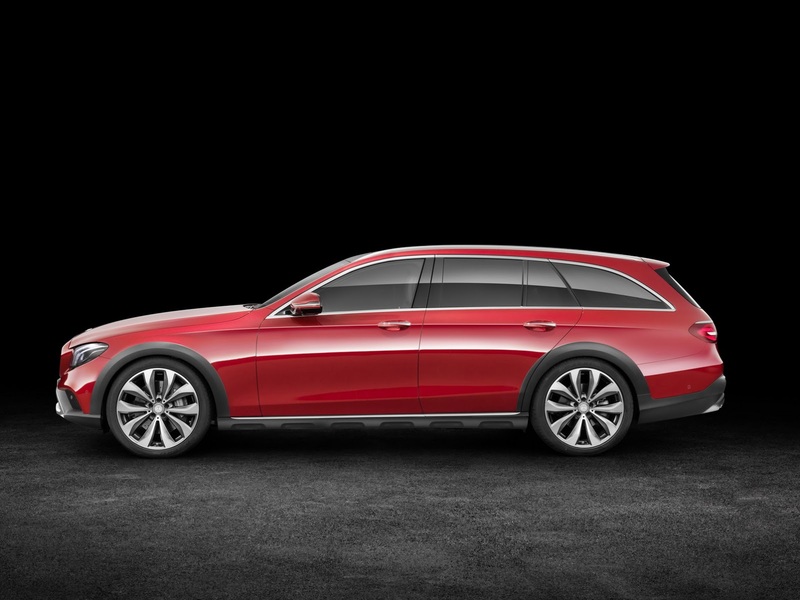 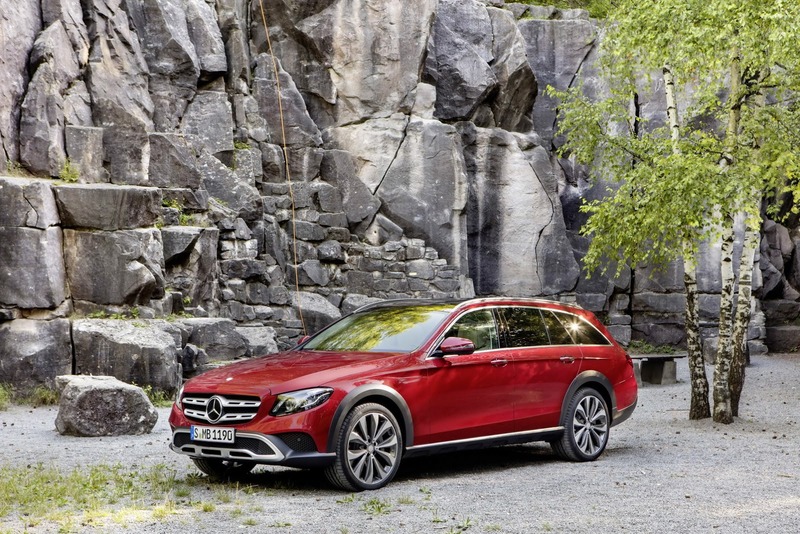 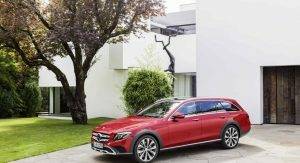 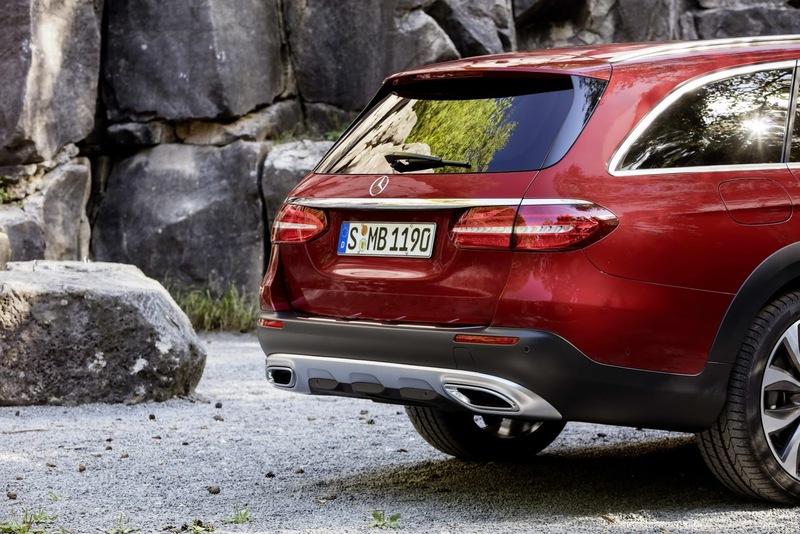 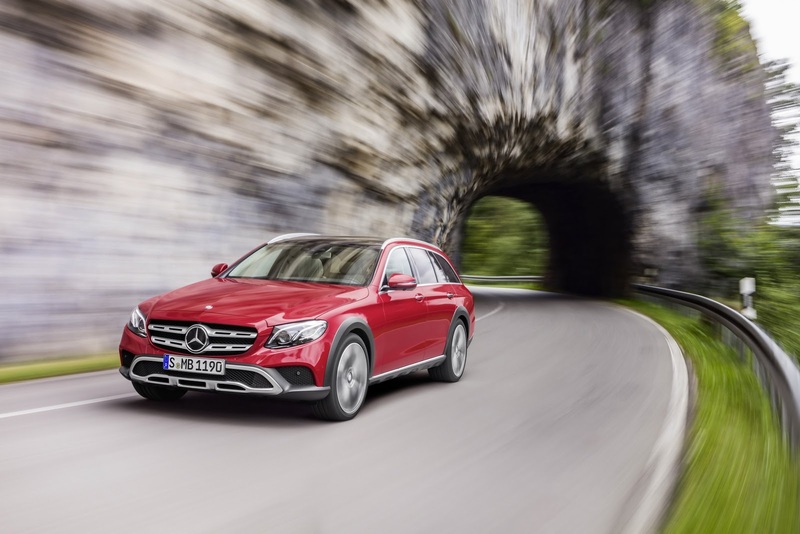 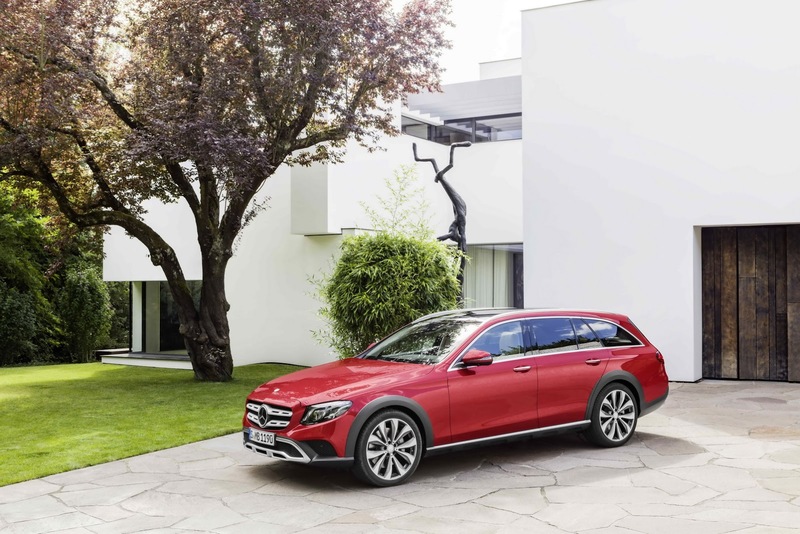 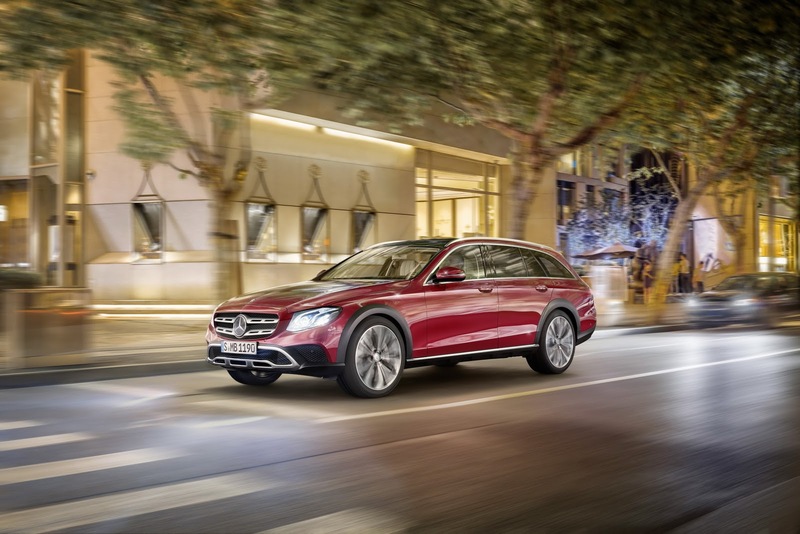 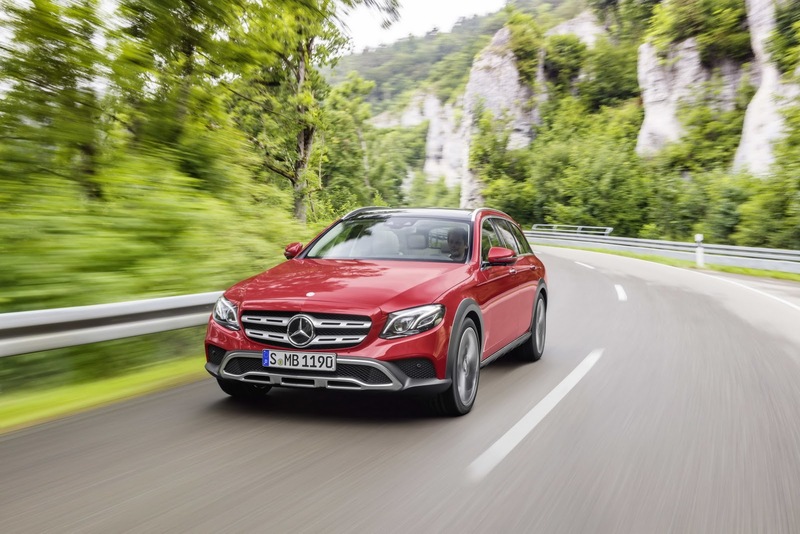 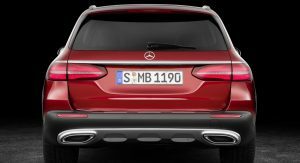 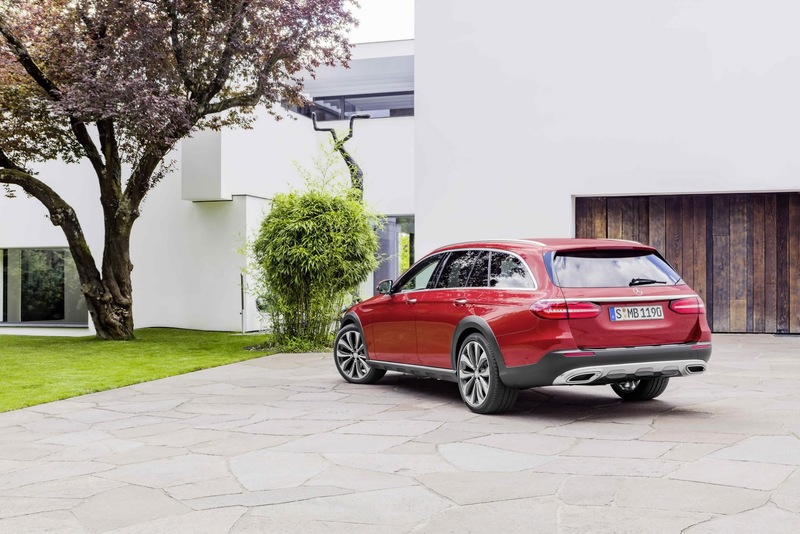 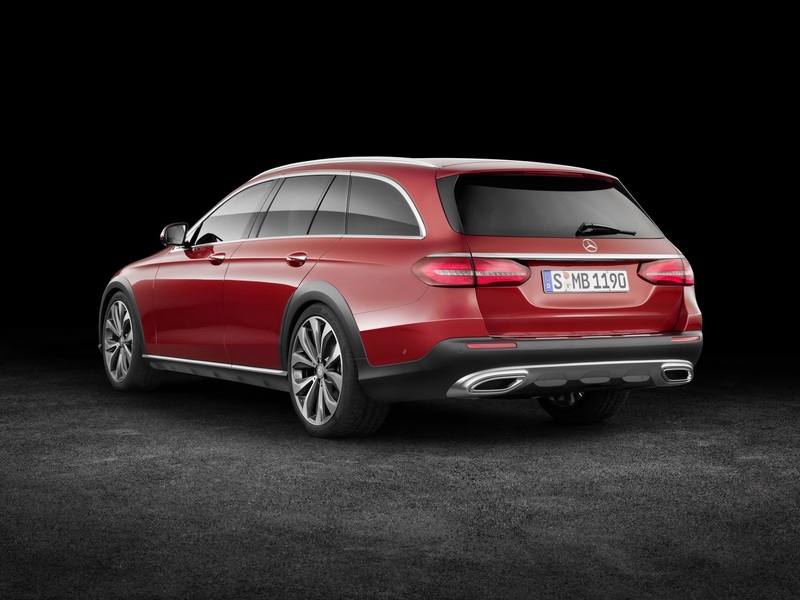 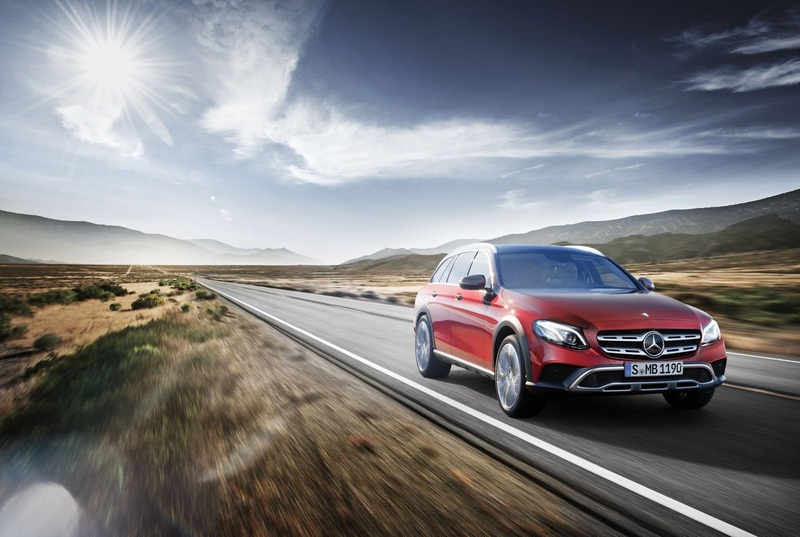 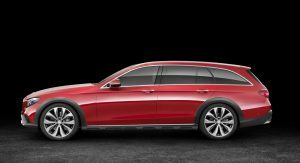 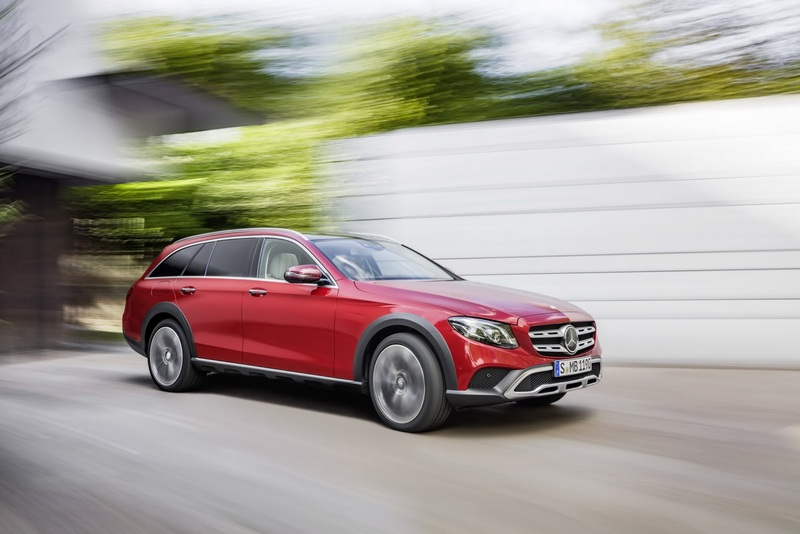 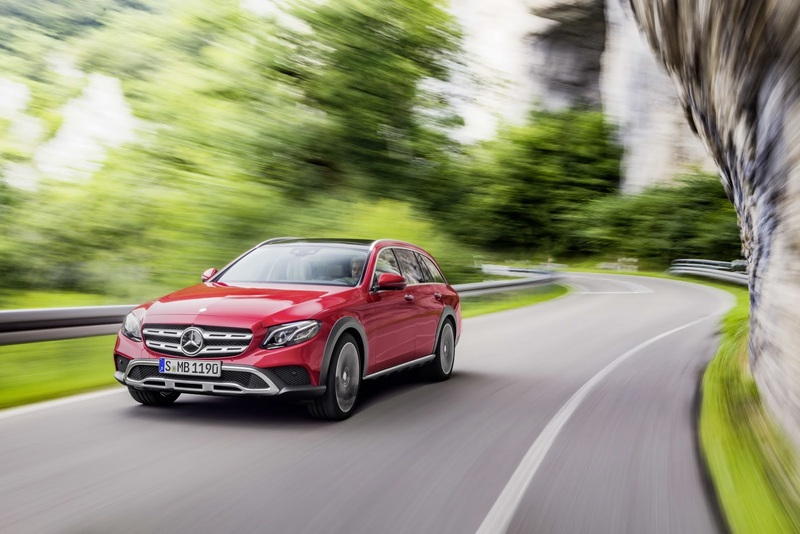 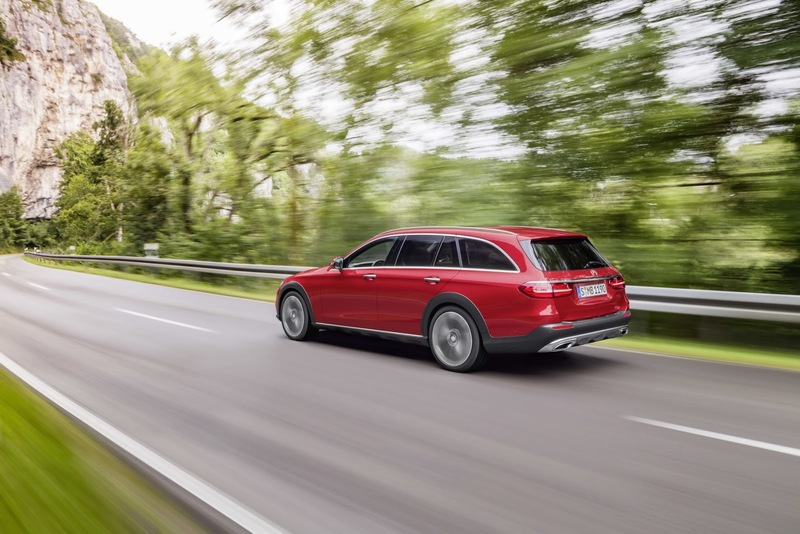 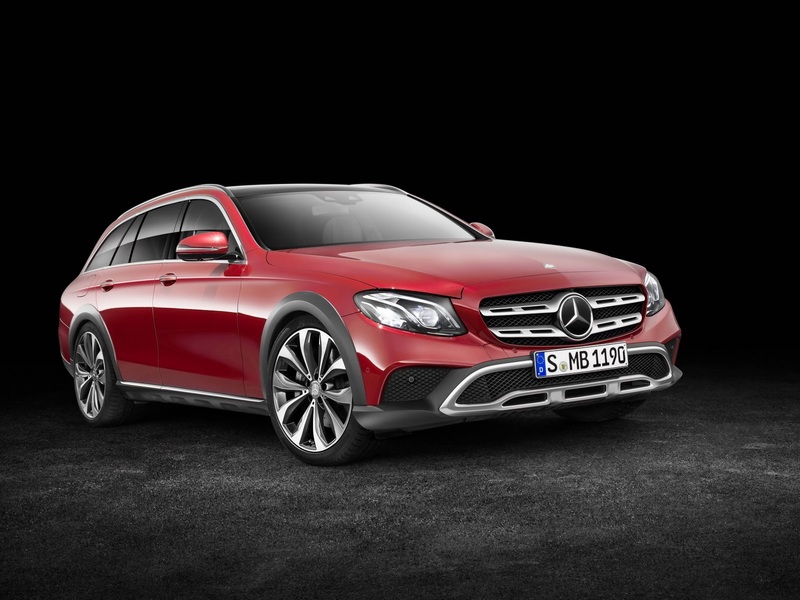 This means that the rugged version of the E-Class Estate can offer up to 156mm of ground clearance, when the suspension is set at its highest setting. 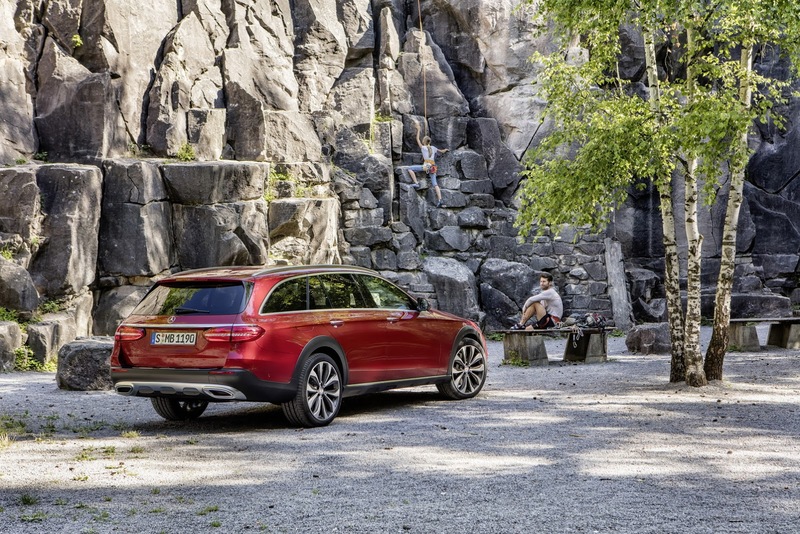 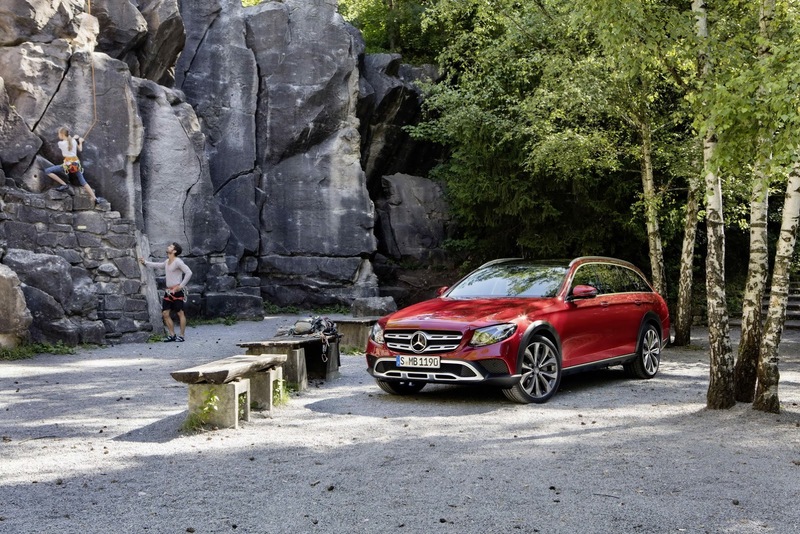 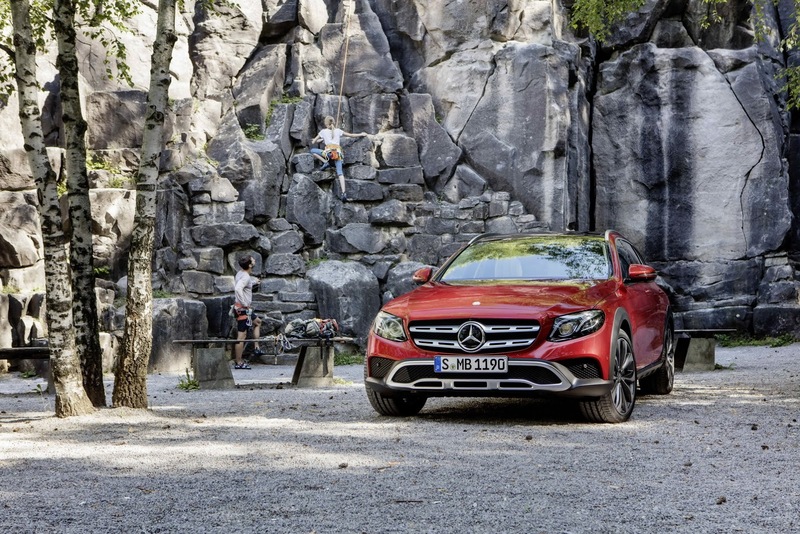 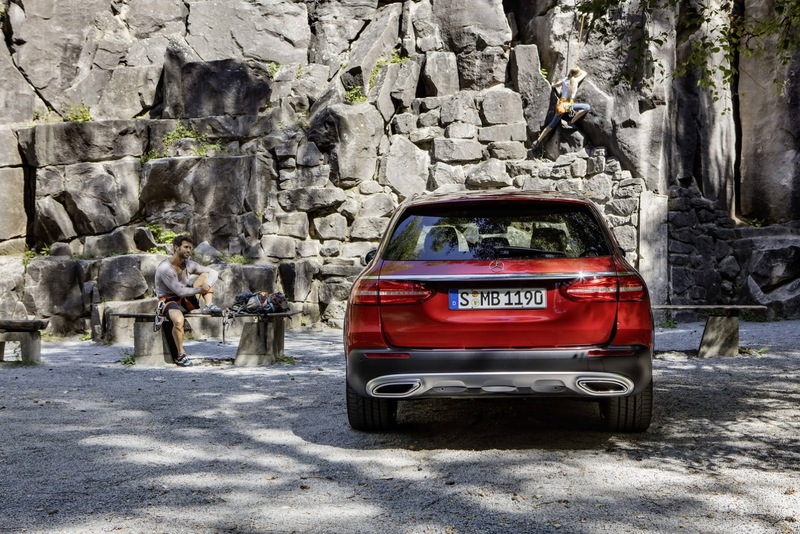 “No E-Class has ever been as versatile as the All‑Terrain. 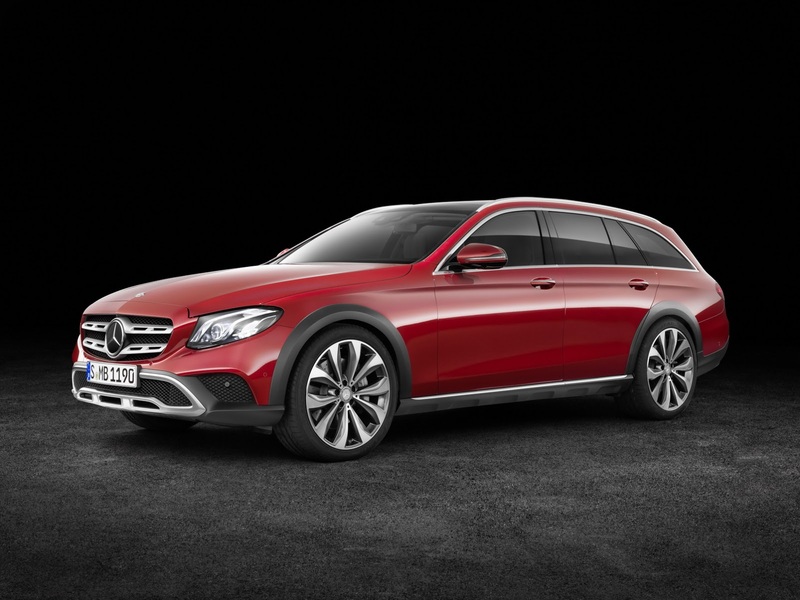 The new model combines a striking look in SUV style with the intelligent space concept of the estate. 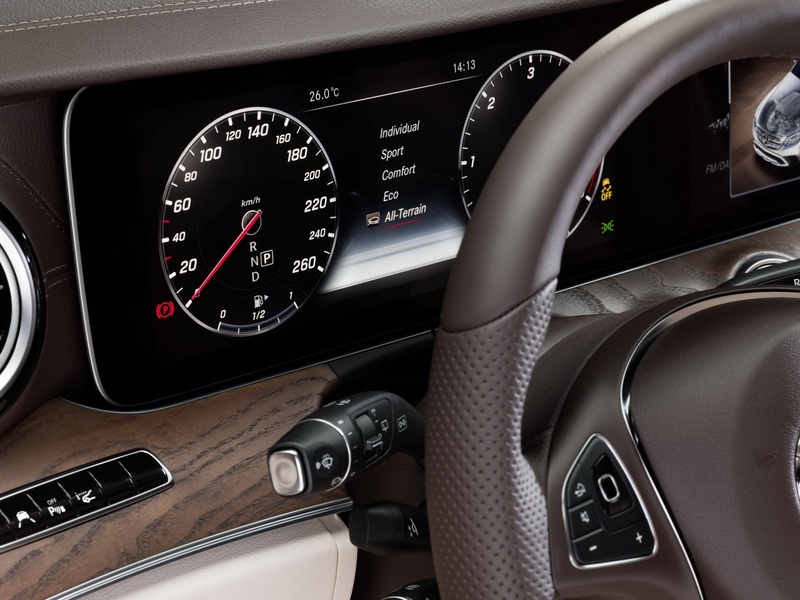 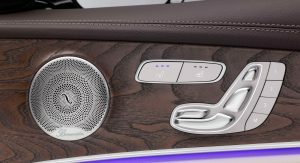 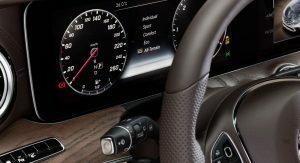 This is coupled with lots of innovative safety features and the multi-award-winning E‑Class interior”, says Ola Källenius, Member of the Daimler management board responsible for Sales and Marketing of Mercedes Benz Cars. 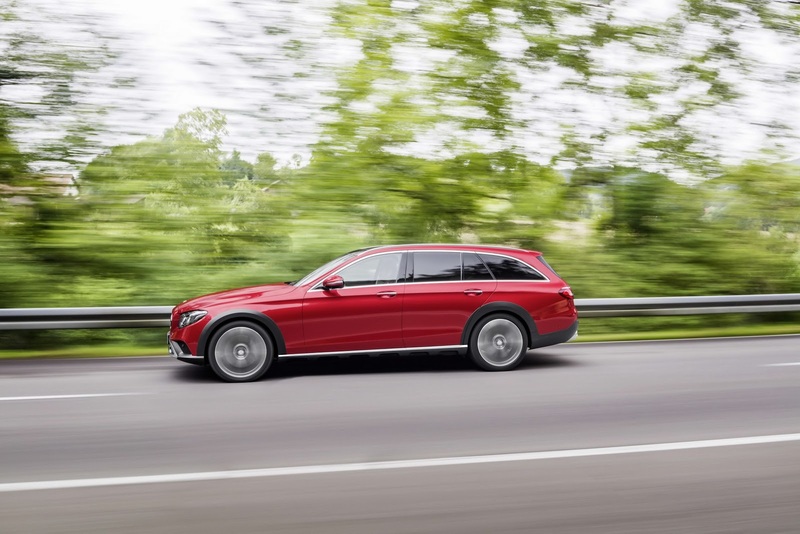 The company has retuned their AWD system specifically for the All-Terrain while the 19-inch alloy wheels are dressed with higher-sided tires to improve the off-road capabilities and the ride comfort on any sort of roads. 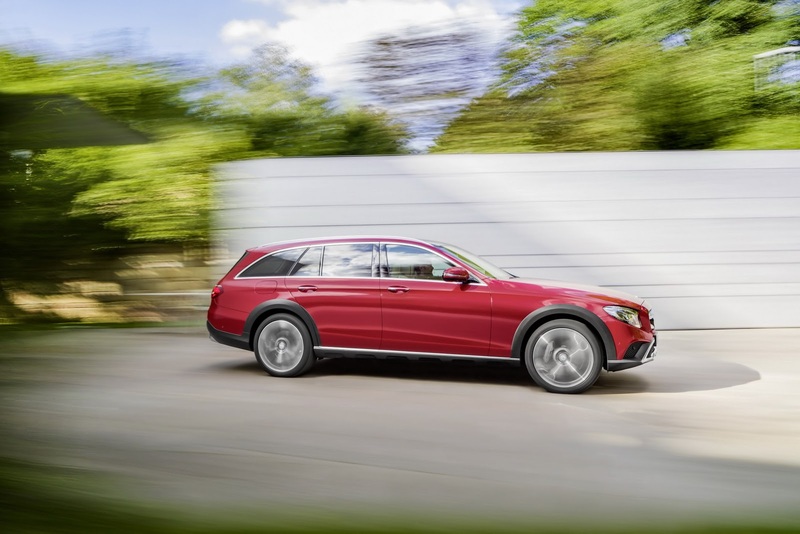 An ‘All-Terrain’ mode has been added to the Dynamic Select, bringing the total of available driving modes up to five. 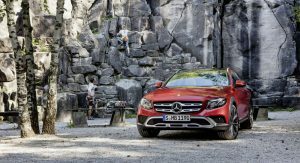 The new off-road setting primes the whole car for off-road use, adjusting the ESP, Active Yaw Control and ASC and lifting the suspension. 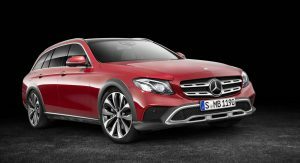 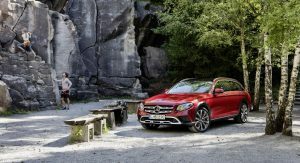 Mercedes will initially offer the new E-Class All Terrain with only one engine, a 2.0-litre diesel with 191hp and 295lb ft of peak torque paired to the nine-speed 9G-Tronic automatic gearbox. 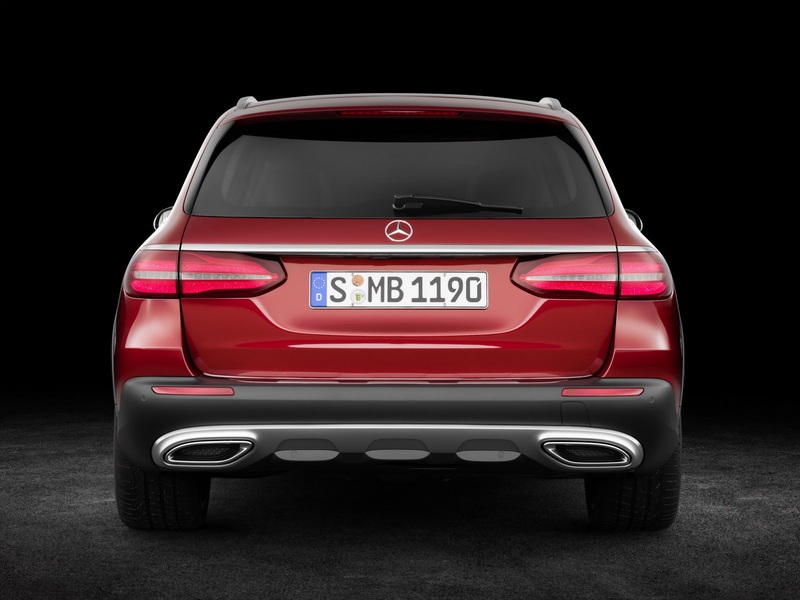 0-62mph comes in 8 seconds flat, with a top speed of 144mph. 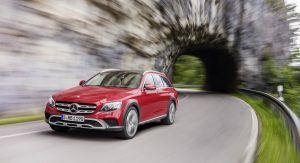 Mercedes reckons it will return a combined 55.4mpg UK while CO2 emissions are rated at 137g/km. 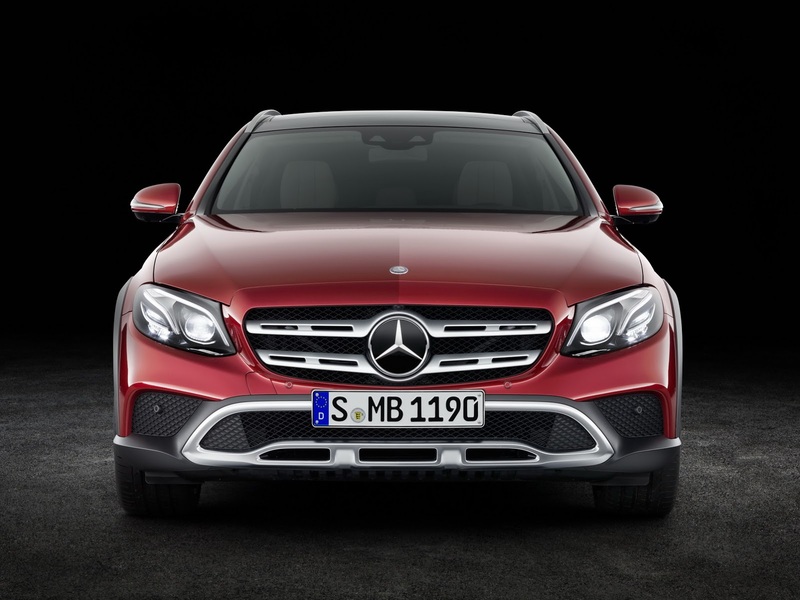 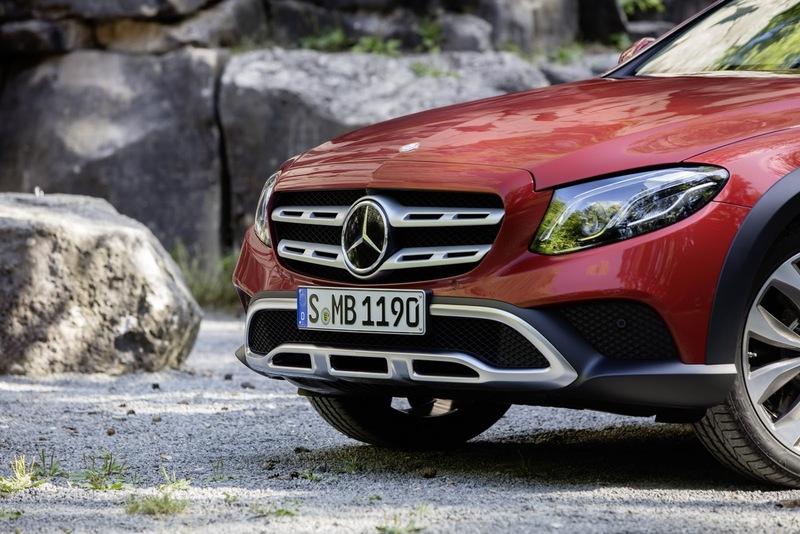 The E 220 d 4Matic All Terrain will be joined by a six-cylinder E350d model later in 2017. 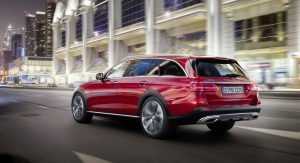 The new Mercedes E-Class All Terrain is set to make its first public appearance at the upcoming Paris Motor Show.